Alex Kipman, head of the Kinect project, told GamesIndustry.biz that the motion controller doesn't use a huge amount of the Xbox 360's processing power. Indeed, he says it's a single digit power draw. The news is contrary to quotes in a New Scientist article back in January which put the CPU power needed at 10-15 per cent. However, it seems that those quotes weren't erroneous. Instead, the add-on has undergone some serious optimisation in the interim. TechRadar has been playing with Kinect and we'll be publishing our full in-depth review tomorrow morning - for our interim verdict, check out our hands on. Microsoft Kinect has a UK release date of 10 November. 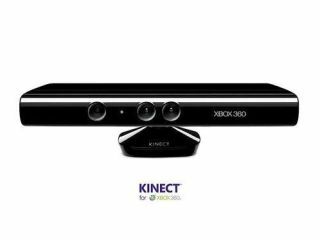 As we said in that piece from June, we weren't incredibly impressed with Kinect's performance. "No sugar-coating here; we came away disappointed from what we saw at E3 this year. MS's line-up of games failed to counteract arguments that Kinect is aimed primarily at the casual audience and not for core gamers." Although our full review tomorrow will give you the complete story.